Gardening Tips for Small Spaces: Bees and Butterflies...It's not what you think! Bees and Butterflies...It's not what you think! Every year the butterflies get fewer and fewer even though I have tons of plants to attract them. 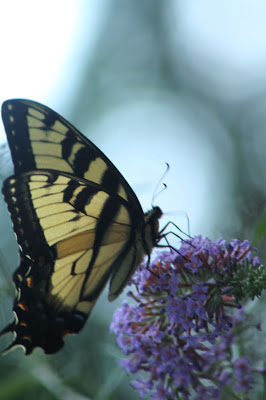 My friend and garden buddy, Joni, sent me this very informative post about how to attract them to our yards, what plants they like and steps we can take to insure we will have our pollinators around for a long time. After all, our food chain depends on them. I can't imagine summer without a fresh tomato from my yard - tomatoes depend on pollinators like bees and butterflies to set fruit - squash, corn and many others too!